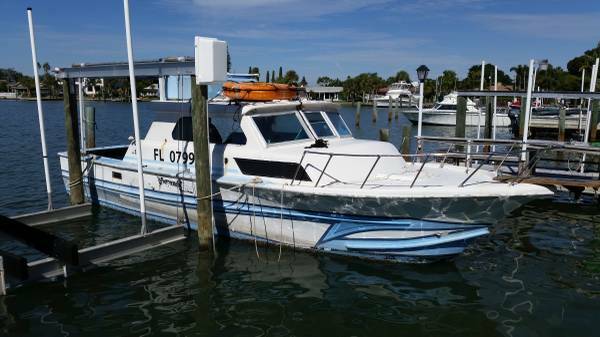 Project vessel that previously was a commercial grouper boat. 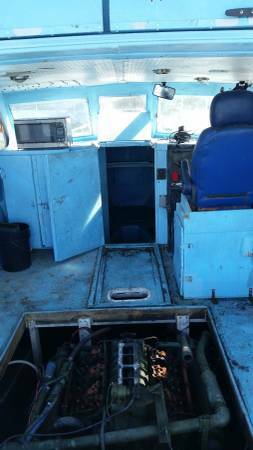 Six cylinder diesel inboard?? needs work. Not running. Must be able to tow from mooring! 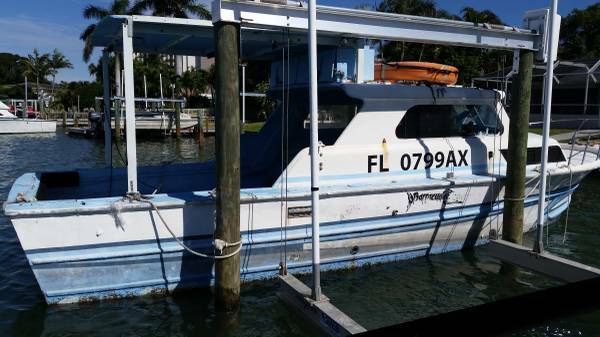 Don't inquire unless you have a tow vessel, trailer, or immediate arrangements to remove from mooring!